From bloggers to coaches to moviemakers and educators, anyone can now create simple, high quality animated videos for their target audience. Thanks to the advancement of technology, you do not have to pay a lot of money to a video editor to make good animations as anyone having the right tools can create very good animations by themselves from the comfort of their house. This helps to make your work easier and gives you hands-on experience in creating exciting videos for your business, page, customers, or clients. 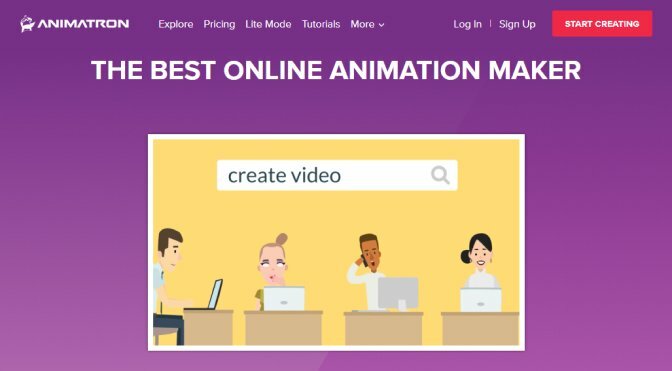 Without being a skilled video editor, you can now animate online and make your own animations by using a variety of good online animation makers. To make things easier for you, we have put together a list of the very best animation makers that you can use online and for free to impress your audience and clients and make marketable videos to promote your products and services. 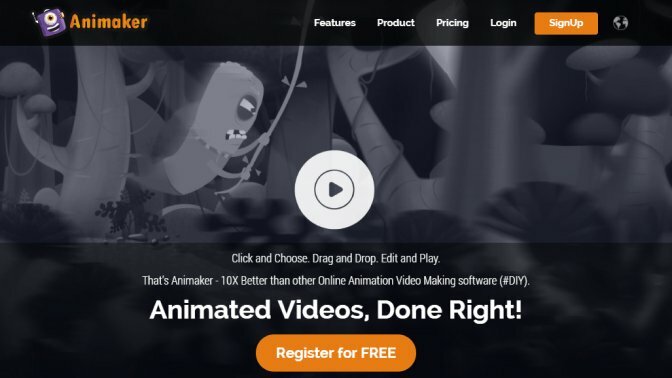 Moovly is a great free online animation maker. It is known as one of the best as this animation maker comes with over 1 million media assets (including sound effects, music, photos and motion graphics) all of which are royalty free. 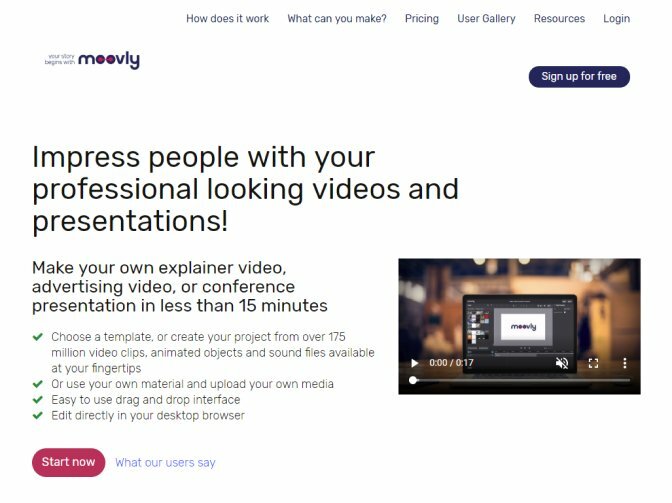 Moovly offers a wide range of features that allows you to easily customize your videos by choosing templates before you start your animation. It has a built-in tool kit to make your animation making process easier and allows you to integrate smoothly with Shutterstock. As a bonus, it has a very straightforward interface so that beginners can easily get familiar with tools offered and create awesome videos. This is a great animation maker for people who want to get really creative. 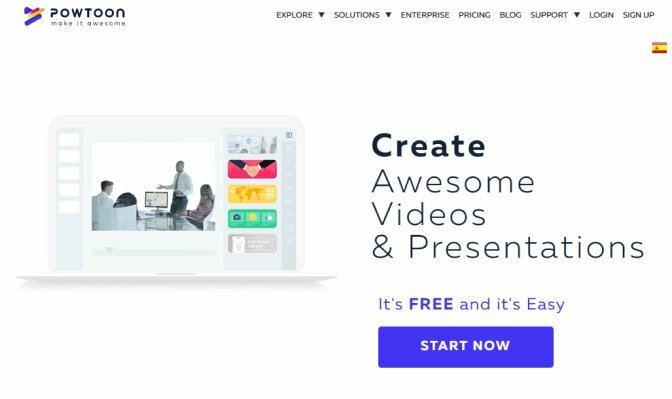 PowToon allows you to create professional animations as this cloud-based program is packed with many helpful features design to make your animation making process easier, faster and better. As PowToon is integrated with many top sites and content creators, you get to choose content from a wide database which consists of a huge collection of media files you can use for free. Animaker makes creating animations an easy walk in the park as it offers features such as pre-made presentation templates so that you can add some text to each of your slides. This free online animation provides you with HD quality videos and other features such as 2D videos, whiteboard animations, the ability to animate image and typography. Animaker boasts of an interactive interface that allows the user to easily find helpful tools to work with. After your animated movie is ready, you can then share to the world. This is one of the top websites with a studio online animation maker. Whatever content you have in mind, Renderforest gives you the right tools to work with so that you can create realistic 3D videos or fun and interactive animations. It has about 200 templates you can use to easily start making videos. 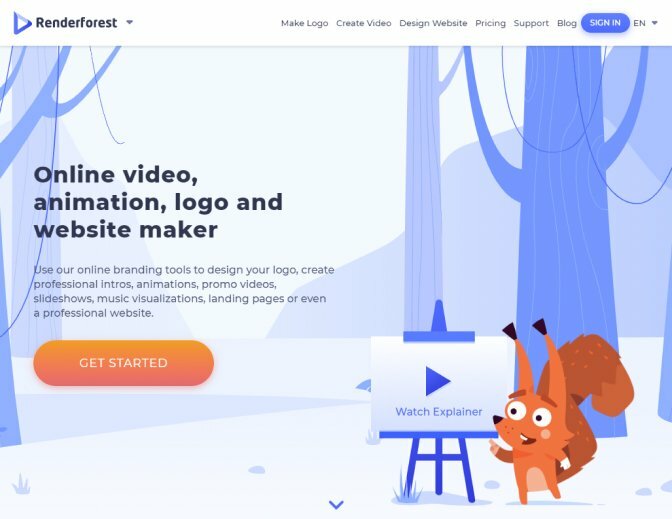 To make things easier for the user, Renderforest also comes with a toolkit that explains everything it does and helps to familiarize the users to its platform and offered features. So, apart from giving you a platform to create professional animations, Renderforest also allows you to explore and come up with the best possible content. Biteable is a very good and free animation maker that allows you to make animation online for free without stamping a watermark on them. It comes with many ready-to-use templates and provides a generator that provides live-action scenes that you can use and then edit to your preference. 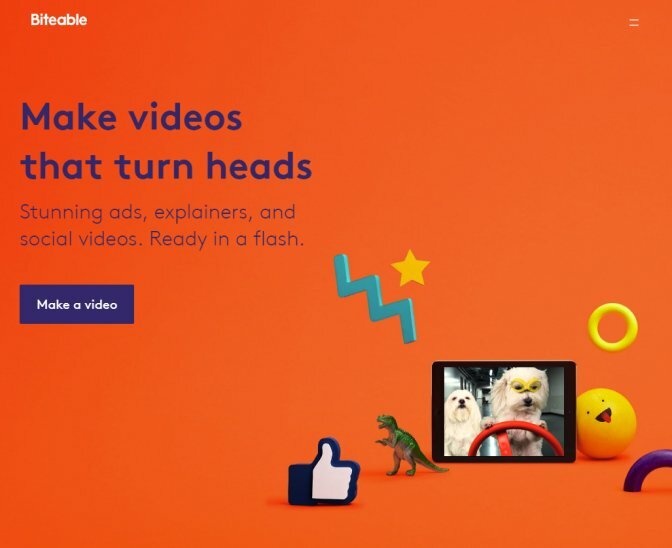 Biteable also offers features that allow you to add your own text, music, and effects to customize your video and boosts its availability to use for promotional content or just for fun. Top companies like Google, New York Times and Disney have used this program to make videos for the simple and easy to understand platform that it offers. Apart from that, Animatron can boast about mind-blowing features. It gives you the right tools to create different kinds of videos like animated banner ads, explainer videos, and as it has over 500,000 royalty-free media clips, you have a big list of media files to choose from and incorporate in your video making. You can also use Animatron to create a whiteboard animation style while saving money on expensive software for video creation. 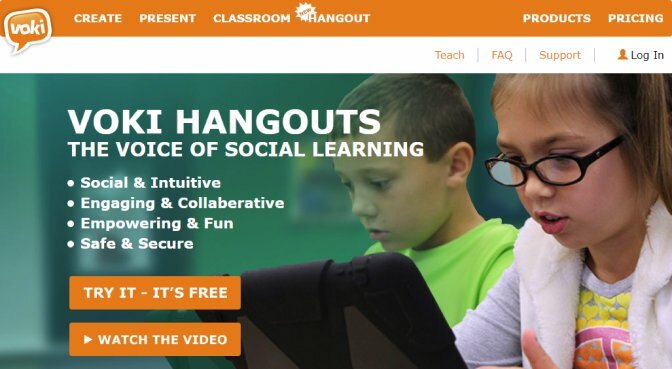 Voki is one of the best sites for creating animated classroom leaner videos to boost student performance. With Voki, you can make interesting videos for your class and customize your videos by adding voice-overs and customized avatars. This all helps to aid the learning process and improve the student experience. This site is one of the best with simple editing tools that allow you to create high-quality animations. This site allowed you to draw out illustrations by giving you a wide range of frames to work with. It also offers tips and tutorials or beginners to make the animating process easier and faster. With Explee, you can create wonderful animated videos for a diverse audience. 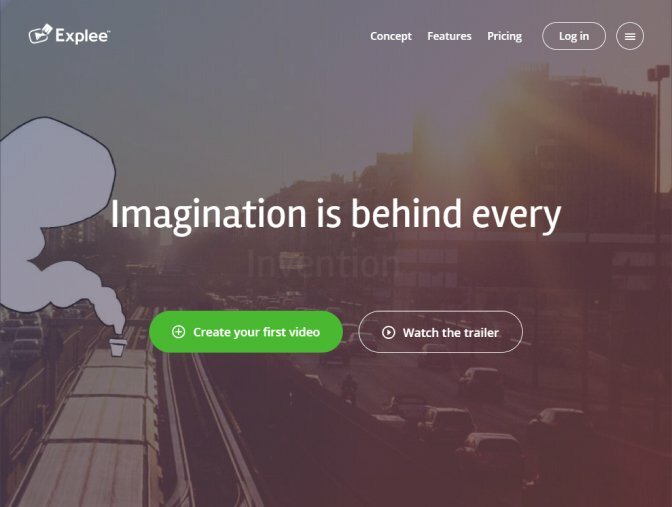 With over 6,000 animations to work with, Explee provides you with tools to make animating a fun and exciting experience. With all these great free sites to make and customize your own animations, no matter the purpose of the animated video, you have many options to choose from. Among these options is Movavi Video Editor. It has a simple interface and provides features that allow you to edit and customize videos to your taste and save and share them with your family, friends, clients etc. So, the hassle is over. 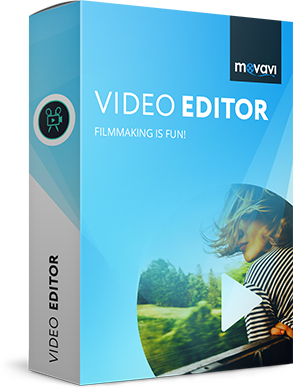 Get one of these free programs including the Movavi Video Editor and make awesome videos today!